We continue the pioneer series with a spotlight on a devoted Teflon™ coater with significant accomplishments in the industrial coatings field. All pioneers in the Teflon coatings industry are early adopters of the coatings and have helped to shape the way Teflon has grown and evolved as a reputable industrial fluoropolymer. With the vision and ingenuity of all pioneers, Teflon coatings continue to be regarded as the elite fluoropolymer of choice. This interview spotlights Artie McElwee of Toefco® Engineered Coating Systems, Inc. Through innovation and diversification, Toefco® strives every day to provide quality products and quality services with excellent delivery at a fair price. A family-owned and operated company for over 60 years, Toefco has been a frontrunner in coating application services. With the capacity to spray over 400 types of coatings and bake them in their 20+ ovens, Toefco has the capability to handle almost any coating project. Q:When was your company founded? Who founded it?A: The late Jim Jaden founded Toefco in 1955. For over 60 years, we have continued to stand behind our coating solutions and have engineered spray coating solutions for nearly any component you can think of. Q:What was the first significant piece of equipment you purchased?A: My family took over the company in 1994. The first significant pieces of equipment we purchased were new air compressors, air dryers, air and water separators, and filtration equipment. Q: How would you describe changes in the company from when it started to today? A: The list is long. The company is light-years ahead of where it first began, largely due to technological advances. 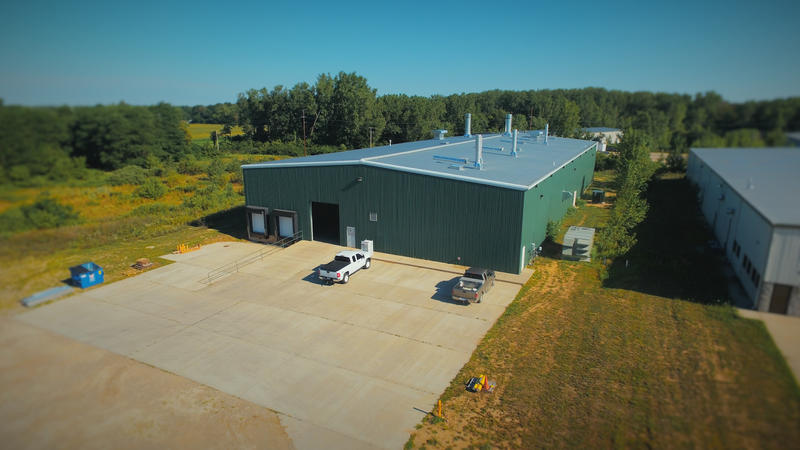 Industrial equipment such as state of the art spray booths, robotics, and regenerative thermal oxidizers for the environment all play a part in the changing aspects of our business. These have all served as significant pieces of equipment and have been major investments towards the future of Toefco Engineered Coating Systems, Inc.
Q: What would you consider significant milestones in your company? A: I consider the growth of Toefco, adding on to the facility and finding a great, great group of people to contribute to the company to be significant highlights within the last few years especially. We’re in the process of a big milestone right now. We’re just finishing a 20,000 square foot satellite facility only a mile away. This facility will accommodate our growth and expansion with our current customer base and support the new business that we’ve been awarded. In addition, we have built our state of the art equipment, which has the capability of coating and curing a 750 lb part, so that we can meet the needs of both new and existing customers. To see footage of our expansion, check out this video. Q: How has the coating industry itself changed over time? How have you seen it change over time? A: The coating industry is constantly evolving, particularly due to increasing environmental concerns. High-performance coating manufacturers have had to be progressive and get away from PFOAs and other constituents in these materials. These companies have strived to protect the environment and maintain earth-conscious practices, which has inspired a lot of change. Q: When did you get your LIA license? A: We got our LIA license well before I became a part of the Toefco team, and I’ve been here about 22 years. I believe we earned our LIA license in the early 1960s. Q: How has being an LIA affected your company? A: Being an LIA with Chemours has been very positive. Additionally, what Intech Services has done for our company has put us on the forefront as an LIA. Intech’s service and support as well as lead generation and opportunities we’ve been able to get have been significant. Their technical support and environmental help have really broadened our reach to customers. Q: What is your favorite Teflon™ coating? A: There are so many of them. The 851 Series and the 959G are great coatings. Tefzel is also a fabulous coating. As an applicator, we are committed to picking the best technology to solve the problem for the customer. Q: What excites you about the future of the coating industry? A: What excites me most are the opportunities that come with technological advancements as well as the progression towards more of a green thumb by lowering VOC content. Regulations are inevitable in our industry and causing it to progress and change. Several industries, such as car manufacturing, tractor manufacturing, and food processing are all increasingly regulated, giving us the opportunity to aid in their needed change. In the powder coating industry, we provide solutions such as fretting, galling, non-stick, corrosion resistance, and many more. What excites us at Toefco is being able to solve the problems that those within the industry did not have back in the day. Now that these industries are under regulation, Teflon produces new process solutions to create better results. For questions and inquiries for Toefco, please visit their contact us page, or contact Artie McElwee directly at Artie@toefco.com. New Teflon™ Product & Market Guide!